&#160;&#160;&#160;&#160;&#160;&#160;&#160;&#160;&#160; What is life like for a child who has a parent in prison? This book brings together photographic portraits of 30 children whose parents are incarcerated, along with their thoughts and reflections, in their own words. As Taylor says, "I want other kids to know that, even though your parents are locked up, they're not bad people. "And I want them to know that we'll get through it. As long as we have someone there to help us, we can get through it. It makes you stronger. "&#160;&#160;&#160;&#160;&#160;&#160;&#160;&#160;&#160;&#160; The material in "What Will Happen to Me?" has been gathered and written by two nationally-recognized experts. Howard Zehr is known around the world as the "grandfather of restorative justice." He lectures and consults internationally on that topic and related issues. He is currently a member of the Victims Advisory Group of the U.S. Sentencing Commission.&#160;&#160;&#160;&#160;&#160;&#160;&#160;&#160;&#160;&#160; Lorraine Stutzman Amstutz travels the U.S. doing mediation work in severe crime cases. She provides consulting and training for agencies and communities seeking to implement programs of restorative justice. 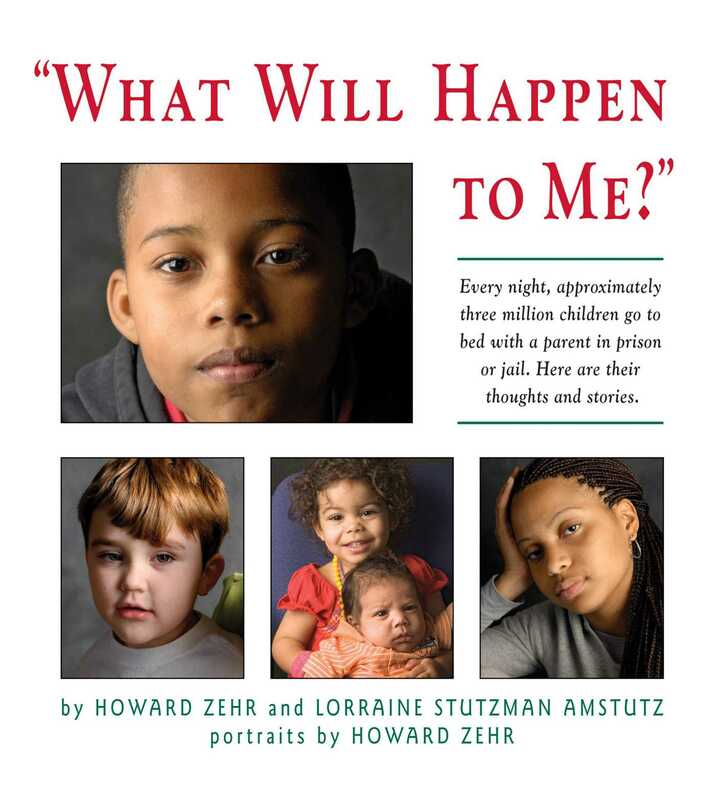 This book of portraits and text includes: Reflections of several grandparents who are unexpectedly parenting children whose parents are incarcerated. "Ten Questions Often Asked by Children." "Dealing with Emotions"&#151;including grief and loss, shame and stigma, anger and isolation. Resources for "Staying in Touch," "Finding Moments of Celebration," "Adjusting to a Parent's Return," "Self-Care for Family Caregivers," and "Suggestions for Third-Party Caregivers." "The Children's Bill of Rights," along with thoughtful consideration about how to apply restorative justice and respect for relationships in these difficult situations.